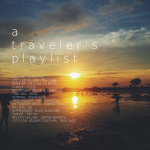 In a country of 7,107 islands, it’s only a given that countless local traditions flourish. 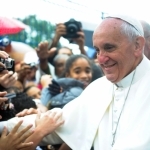 From the towns and cities across the country, festivals are often borne out of the Catholic faith or to celebrate thanksgiving for bountiful harvests. With a new one sprouting every now and then, it’s near impossible to determine the exact number of festivals in the Philippines. There’s at least one every month that it’s tempting to visit at least twelve festivals in a year. It’s a challenge to limit this list to just ten festivals, but here are ten of the most intriguing, if not merriest, festivals in the country. 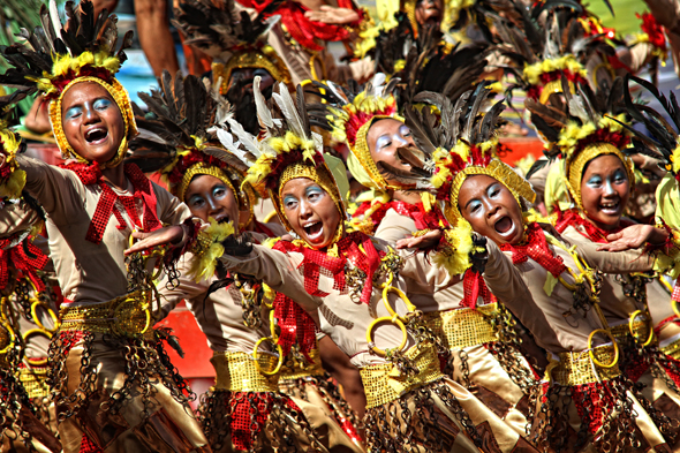 Probably the most celebrated festival in the country, Sinulog Festival in Cebu has hundreds of thousand visitors yearly. 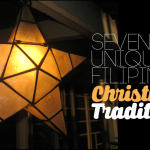 The festival celebrates the Filipinos’ pagan origins and our conversion to Christianity. 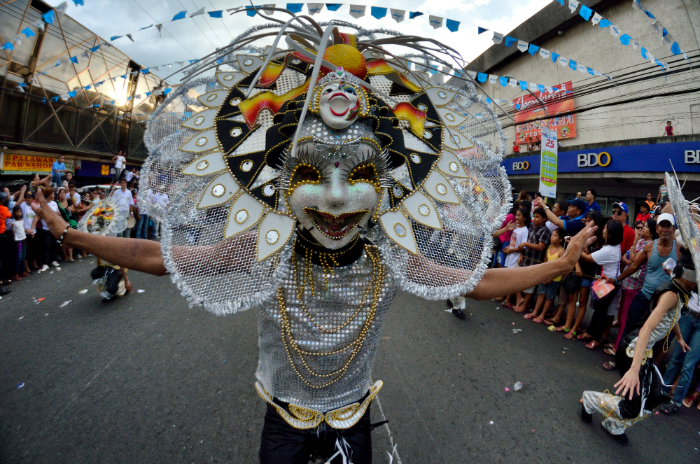 It often lasts for nine and culminates on a Sunday with the Sinulog Grand Parade. 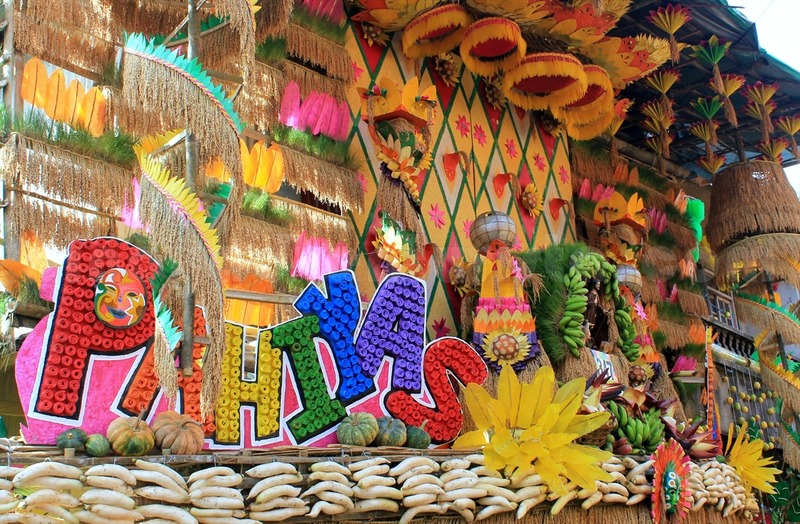 One of the most colorful sights you can see in the country are streets upon streets of houses decorated with fruits, vegetables and kiping, brightly-colored dried rice flour in the shape of leaves, during the Pahiyas Festival. 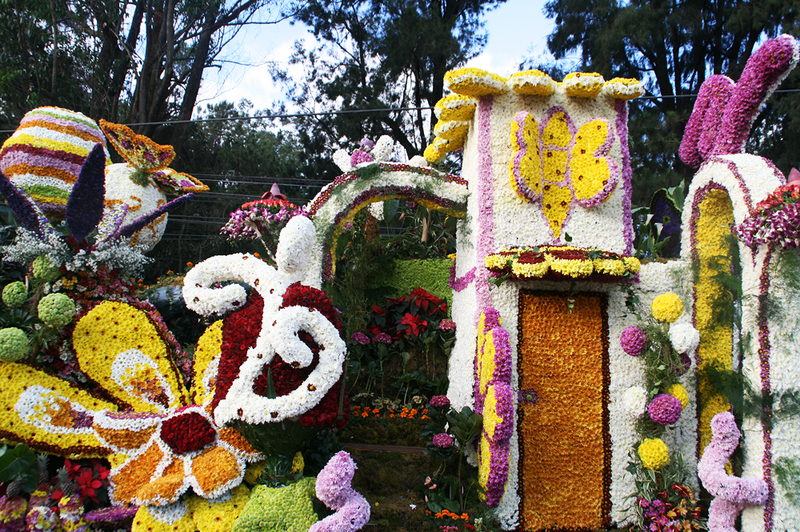 The Flower Festival is a month-long event that celebrates the season of blooming. The festival was established to pay tribute to the city’s flowers and to show resistance and strength to rise again after the devastating 1990 Luzon earthquake. 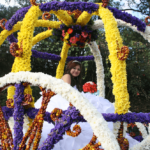 The highlights of the festival are street dancing and the floral float parade. 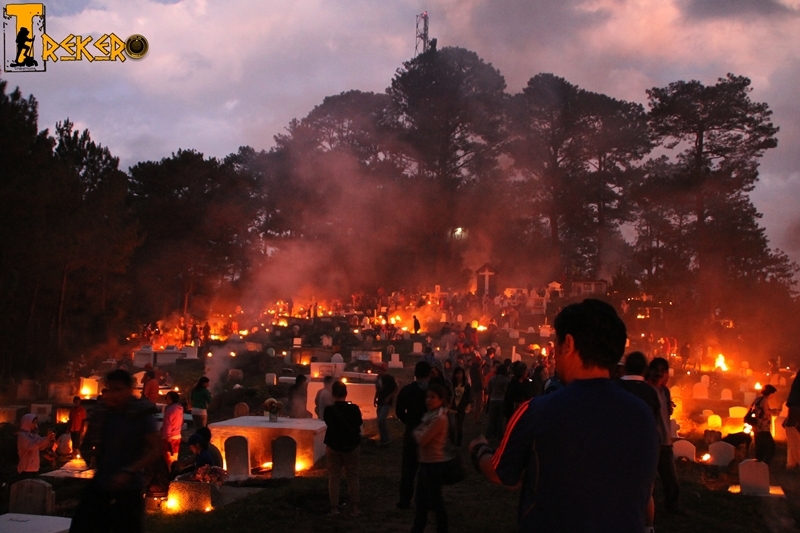 Sagada’s Festival of Lights is a tradition in Mountain Province where the town residents light a fire to remember the departed. The bonfire surrounding the graves in the cemetery is the Sagadians’ way of guiding and warming the souls of those who already left. 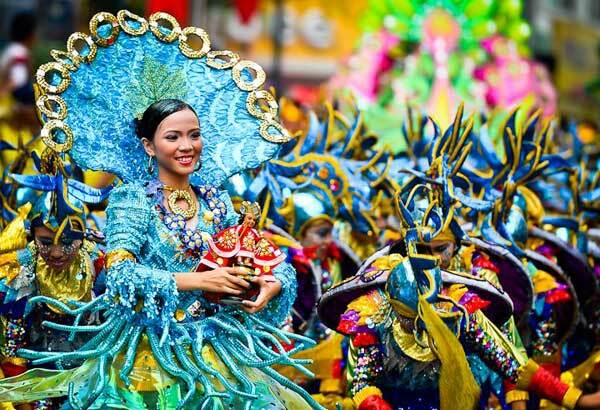 Known as “The Philippine Mardi Gras” and the wildest festival in the country. Ati-Atihan displays the enthralling native dance competition where everyone is encourage to participate and dance with the performers. The participants of the dance competition are from the local groups with unique tribal tradition all around the province of Aklan. A pun on the Filipino word maskara (mask), the name of the Masskara Festival is coined by joining the words mass and cara, a Spanish word meaning face. The maskara painted with a smiling face is the prominent part of the festival. 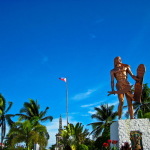 After all, Bacolod City is also known as the City of Smiles. 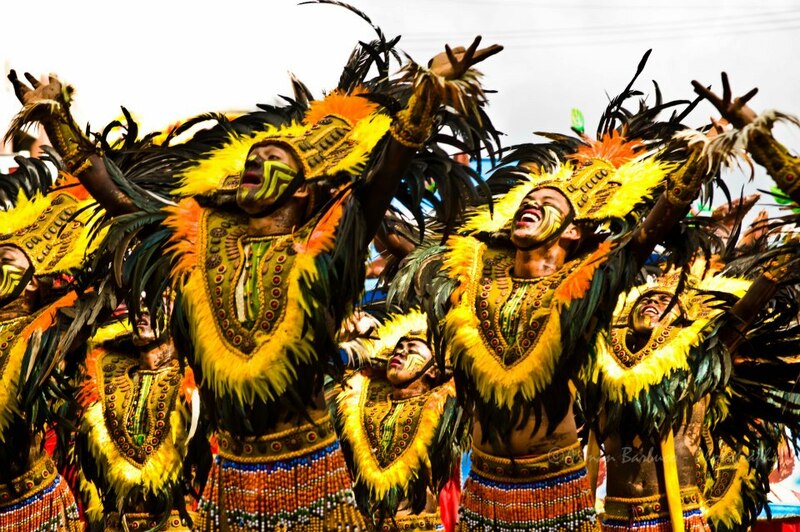 Used to be known as Iloilo Ati-Atihan, Dinagyang has now made a name for itself, a pretty good one at that. The festival honors Santo Niño, whom Ilonggos believe to be miraculous during trying times such as drought or famine. 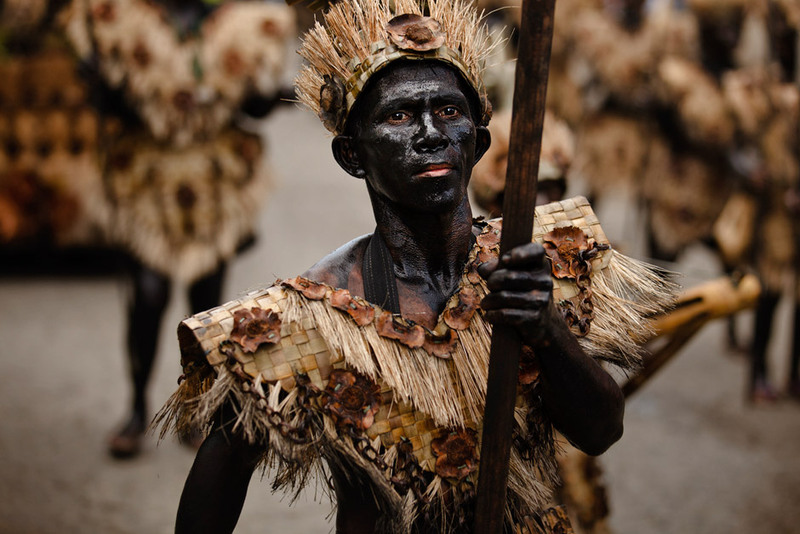 Dagoy, depicted as a young Aeta warrior, is Dinagyang Festival’s mascot. This festival of thanksgiving in Davao was started by the government to unite the Davaoeños after martial law and to promote the city as a beautiful and colorful place. The streets are decorated with fruits and vegetables as the float parade and street dancing commence, featuring the dancers in tribal costumes and jewelries. 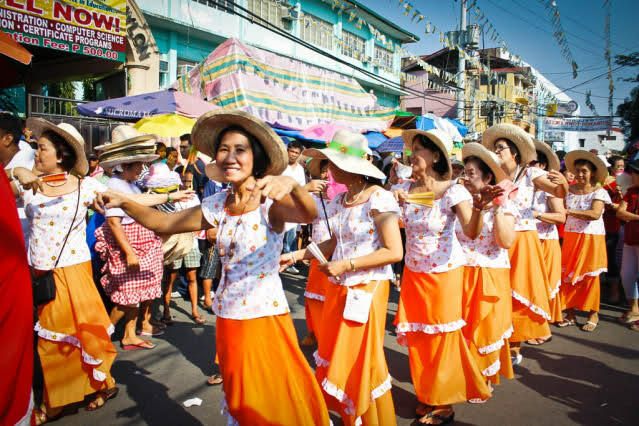 A festival of dance and prayer, Obando is most known for the childless couples who dance to the Virgen de Salambao, whom they believe can increase their chances of reproduction. 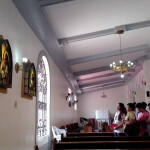 But it’s not just for those who want a child, since those who want a wife can dance to San Pascual Baylon and those praying for a husband dance to Santa Clara de Assisi. 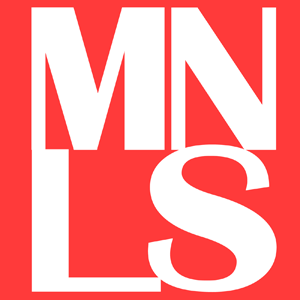 Of all the festivals in this list, this one’s the most recent. 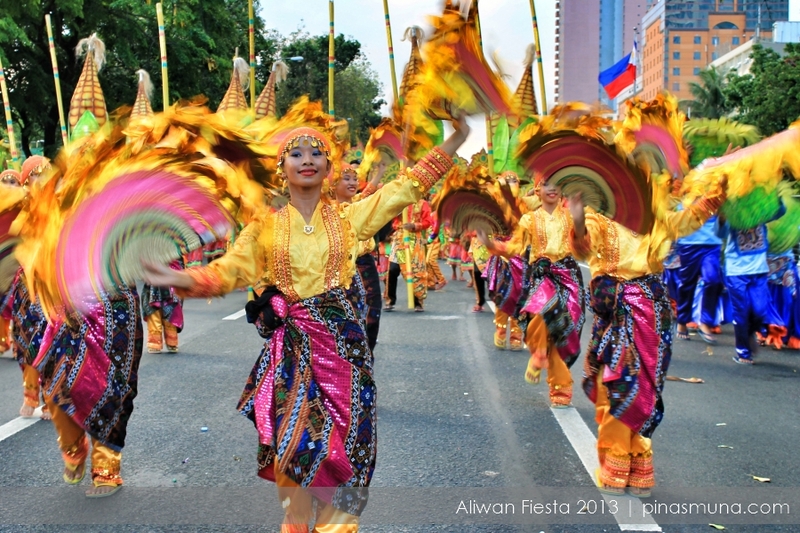 Dubbed as the “Mother of All Festivals,” Aliwan Fiesta gathers different cultural festivals around the country in magnificent dance parade and float competitions. It’s impossible to choose which festival is the best, as each one has its own charms and unique traditions. Just remember that many festivals promote merry-making, but some of these encourage respect and solemnity during the celebration. 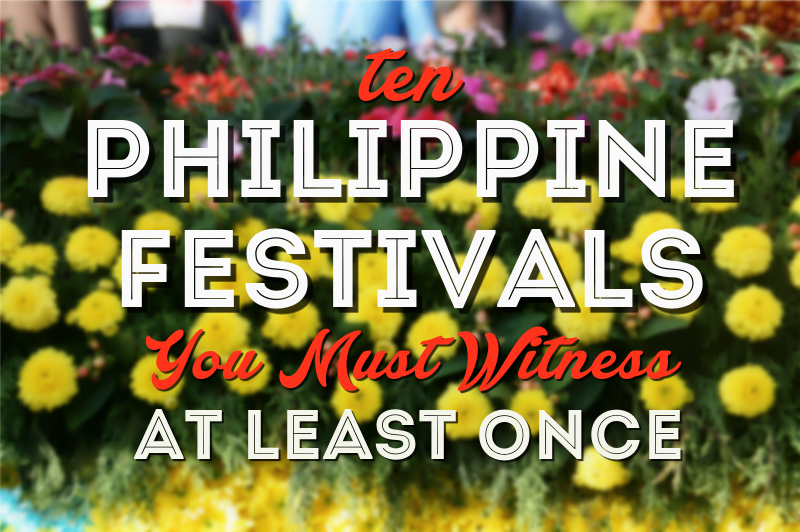 What’s your favorite Philippine festival, in this list or not? Share them on the comments below!